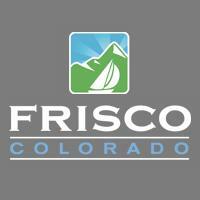 The Easter Bunny will return to Frisco Main Street to hide 5,000 Easter eggs. Children 8 years old and younger are invited to search for candy stuffed eggs throughout the Frisco Historic Park and the Frisco Town Hall areas. The Easter Bunny will visit with children before and after the egg hunt on Main Street. Guests are encouraged to bring cameras for selfies with the furry guy. Children under 3 years old are invited to gather near Town Hall at the intersection of Main Street and 1st Avenue in anticipation of the 12:00pm egg hunt start. And children 3 – 8 years old should line up on the sidewalk on the south side of Main Street (opposite the Historic Park) for a mass start at 12:00pm.